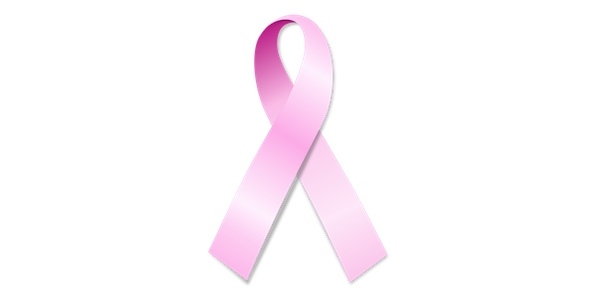 The Affix team is observing Breast Cancer Awareness Month by celebrating the women of Affix. Our female Music Providers continue to create exciting new music and we’re proud to showcase their talents here. 1. [wpaudio url="http://www.affixmusic.com/system/music_files/52441/affix_52441.mp3?1287174347" text="New Kinda Woman - Shay La'Vee" dl="0"] Equal parts Aretha and Chaka, Shay La’Vee kicks off this edition of The A-List with this undeniable ode to the modern woman. 3. [wpaudio url="http://www.affixmusic.com/system/music_files/35981/affix_35981.mp3?1264619848" text="One More Night - The Featherstones" dl="0"] This heartbreaker tells the story of a girl who keeps going back to a relationship even after she swears it’s over - ironic, because we keep hitting the repeat button on this one too. 4. [wpaudio url="http://www.affixmusic.com/system/music_files/52411/affix_52411.mp3?1287169117" text="Wings - Prissy Polet" dl="0"] The hook in “Wings” has Polet asking, “Are you in or out?” For us the answer is easy…we’re in! 6. [wpaudio url="http://www.affixmusic.com/system/music_files/39821/affix_39821.mp3?1266877135" text="Think You’re In Love – Alexandrea Lushington" dl="0"] You may recognize Alexandrea from her appearance as an American Idol finalist, but one listen to “Think You’re In Love” proves that she’s committed to becoming an artist who answers to no one. 7. [wpaudio url="http://www.affixmusic.com/system/music_files/38771/affix_38771.mp3?1266514915" text="Electric Funky Girl - Richelle Brown" dl="0"] The queen of Electro Funk is back on The A-List with a euphoric style that is all her own. 8. [wpaudio url="http://www.affixmusic.com/system/music_files/27851/affix_27851.mp3?1258558325" text="Feels Like The Future - Essence" dl="0"] Essence’s signature vocal licks and sweeping guitars make this pop gem standout. 9. [wpaudio url="http://www.affixmusic.com/system/music_files/42821/affix_42821.mp3?1272309792" text="Strobe Lights - The Beat Geeks" dl="0"] This dance track from The Beat Geeks is South Beach ready. 11. [wpaudio url="http://www.affixmusic.com/system/music_files/49621/affix_49621.mp3?1285360574" text="Keep On Wheelin - Ghagged" dl="0"] Ghagged presents herself as a skilled MC as she raps about perseverance and drive on this optimistic track - a fitting conclusion to this A-List as we commit ourselves to finding a cure. For licensing opportunities for these tracks and over 1,000 others, please visit affixmusic.com. Interested in licensing one of these tracks specifically? Click here for a license-ready playlist.